Calcium entry through L-type calcium channels is essential for contraction of both arterial smooth muscle and the myocardium, and is important in cardiac conduction. 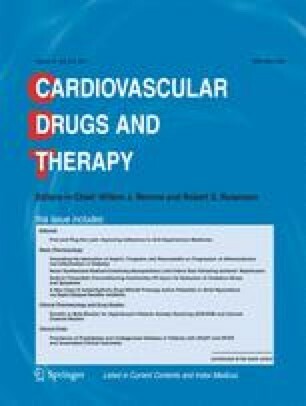 First-generation calcium entry blockers lack or have a modest degree of vascular selectivity and inhibit cardiac function at doses producing therapeutic arterial dilatation. Such agents may cause deterioration in patients with left ventricular dysfunction, and their combination with a beta-adrenergic blocker may adversely affect cardiac contractility and conduction. Development of newer agents has focused on obtaining a higher degree of vascular selectivity. Felodipine is a highly vascular selective calcium entry blocker, with a vascular selectivity ratio greater than 100, as shown experimentally. Isradipine and nicardipine are also vascularly selective calcium entry blockers. Hemodynamic studies in patients with hypertension, coronary artery disease, congestive heart failure, or in patients receiving beta-adrenergic blockade, show that felodipine can produce profound arteriolar dilatation without the negative effects of left ventricular systolic performance. Furthermore, felodipine alone or when added to a beta-adrenergic blocker does not interfere with cardiac conduction. The primary mechanism that accounts for the efficacy of dihydropyridine calcium entry blockers in hypertension and angina pectoris is arterial dilation, whereas nondihydropyridines may also derive part of their effect from inhibition of cardiac performance. As some of these patients, most commonly the elderly, have concomitant left ventricular dysfunction, it should be advantageous to avoid myocardial depression in the treatment of their primary disease. Preliminary studies in patients with heart failure indicate that felodipine and amlopidine may improve hemodynamics, reduce neurohormonal activation, and increase exercise tolerance, but final conclusions must await the randomized clinical trials now underway.